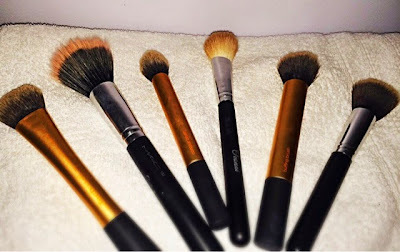 I thought I would take the opportunity whilst my brushes are dirty that I would do a blog post on how I like to clean my brushes. I am by no means saying this is how you must clean your brushes, it is just what works for me personally so I thought I would share it. I ALWAYS dread the time where I look at my brushes and realise how desperately they need washed. Regardless I try to wash them at least every two weeks to ensure they are fresh for applying makeup. Pictured above are a few brushes, needless to say they are so, so grubby and I'll admit I don't think I've washed them in a long time. 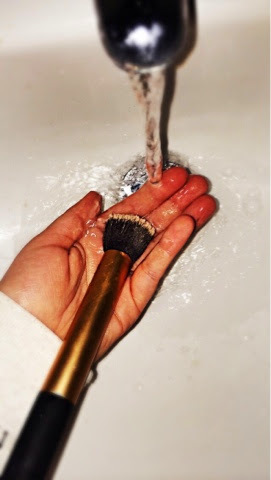 So, TIP 1 - to try and wash your brushes once a week, this ensures you aren't clogging your pores with dirty products and ensuring your skin has a fresher base. I know that many people like the mac brush cleanser, and don't get me wrong it certainly does the job but I personally don't see the point spending money on it when I feel baby shampoo does the exact same job. 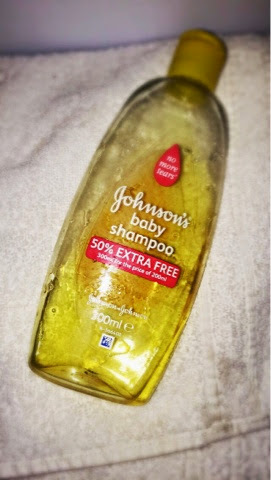 Baby shampoo is so gentle and is perfect for brushes as it removes any product and leaves them clean and soft. I then run my water to a luke warm setting, I don't want the water to be too hot as it may damage the brushes. I apply a little amount of the baby shampoo onto the palm of my hand and then wet the ends of the brush to ensure they are damp. Then, I swirl the brush in circular motions on my palm to ensure all the bristles are covered the shampoo. I then rinse the brush and repeat this process. I then like to squeeze any remaining water out. I then continue repeating the process until the water runs clear. 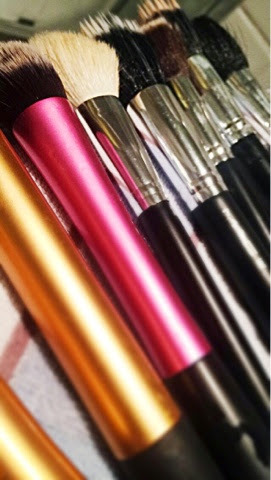 TIP 3 - use luke warm water when washing your brushes so that the glue inside your brushes does not dry up. I then like to repeat this process for all the remaining brushes!! 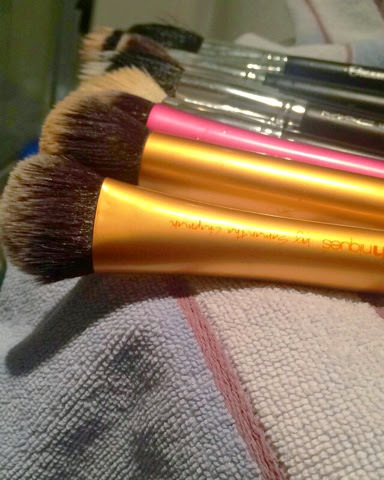 TIP 4 - place your washed brushes on a clean, dry towel and have them hang slightly over the ledge of something. This ensures the brushes keep their shape. 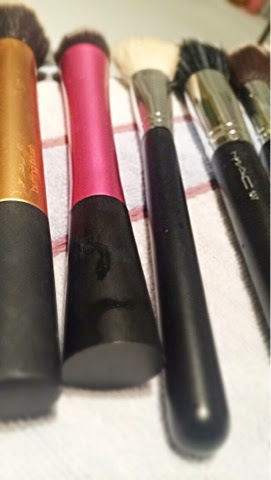 Allow the brushes to dry over night and they should be dry for use the following morning! 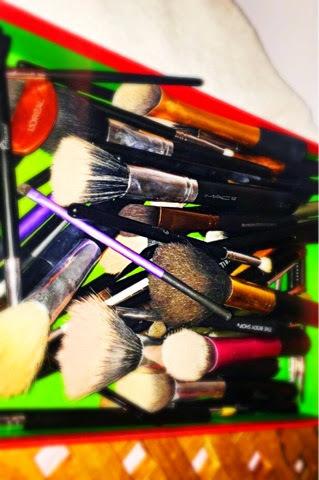 How do you like to clean your brushes? I clean my brushes exactly like you but if I want to use them in another person and I don't have time I clean them with the mac brush cleanser! I switch up my cleansers pretty regularly, but I use a similar method to yours. 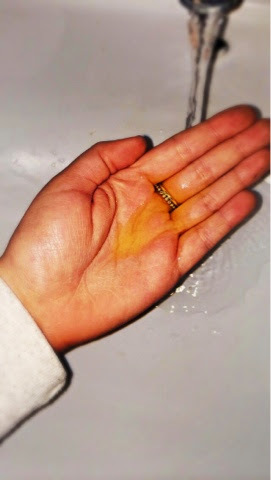 I also find that an oil based cleanser (just a little bit) as a pre-clean step helps to break up any stubborn colour that lingers in the lighter fibers. Absolutely love post! very detailed and it seems like it would be easy, to try your tips..Thanks!